With various snow and ice storms hitting Pennsylvania, we have received calls from numerous Delaware County drivers who have scratched their car with an ice scraper or snow shovel. 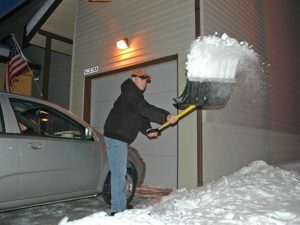 If you don’t want to end up with these minor (occasionally major) damages, use a soft broom or brush on your car instead of hacking away at your windshield with an ice scraper. Avoid using shovels to remove excess snow from your vehicle because oftentimes this results in accidental scratching. If you do end up with some vehicle scratches, or have accumulated quite a few over the years, let a detailing professional remove these imperfections.